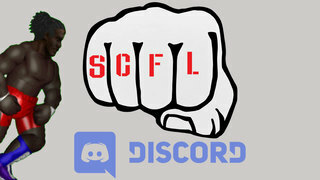 When the world is looking for a true world champion, SCFL Pro should stand out as the foremost company presenting action-packed events, yet here we are. The SCFL Pro World Championship has had a chaotic history, from Chuckie Murphy winning the title, then losing it to Ichabod Adams all the way up to today, where there technically isn’t a world champion. The Fire Pro Wrestling World deserves a lot better than this, although it’s debatable what SCFL deserves. The latest bump in the road was Let Liu as “Freddy Fischer” leaving the championship in the International Foods aisle of the local Hy-Vee. So while Ichabod Adams defeated the real Freddy Fischer (real as in most likely the actual Freddy, but from the Shadow Realm and noticeably different), Let Liu did walk off and was counted out. The champion cannot lose via count out and, technically, the match should have been stopped there. But it wasn’t. Last week Discussion Davis and Miles Manhoef battled to a grueling draw to determine who would fight Ichabod Adams for what he was claiming to be the SCFL Pro World Championship, yet he is no world champion. Without the title it’s difficult for anyone to actually claim said title. Let Liu should technically still be champion, but considering everything that has transpired, it seems unlikely for him to hold onto the belt. Usually we would turn to Bike Bianchi in situations like this, but Bike is still on the run, with Officer Nate slowly going insane trying to hunt him down. So while Bike Bianchi would usually drag his feet in making such an important decision, whomever is left in power (nobody actually knows this, although most official plans still come from Bike’s email, somehow) has decided that a one-night, four-man tournament will happen this weekend, where Discussion Davis, Miles Manhoef, Freddy Fischer and Ichabod Adams will compete for the SCFL Pro World Championship and a new world champion will be crowned. This is in addition to an incredible co-main event between the team with the firm grasp on the SCFL Pro World Tag Team Championship in the LOST BOYZ (Until Robert and Both Ferrari) against the DSA (America Wright and Aladdin Bell). The last few weeks have seen both teams locking horns and trading victories, making this a tense match-up between the two. Everyone knows that the fight before the co-main is the REAL main event, though, which is the SCFL Pro US Championship bout between champion Wim Nijman and challenger Especially Esposito. Esposito has a claim to challenge Nijman after a victory in the kickboxing realm just two weeks ago. 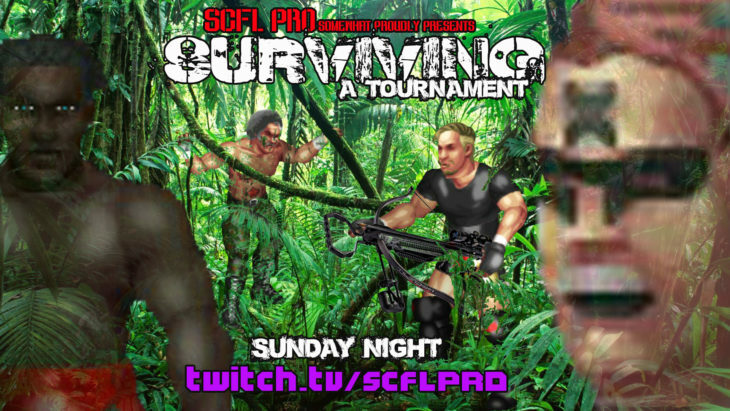 All of this, plus a hell of a lot more coming up this Sunday at 10pm eastern time at twitch.tv/SCFLPro.